This is picture of a foggy lake in Michigan, with mallard ducks in the distance. 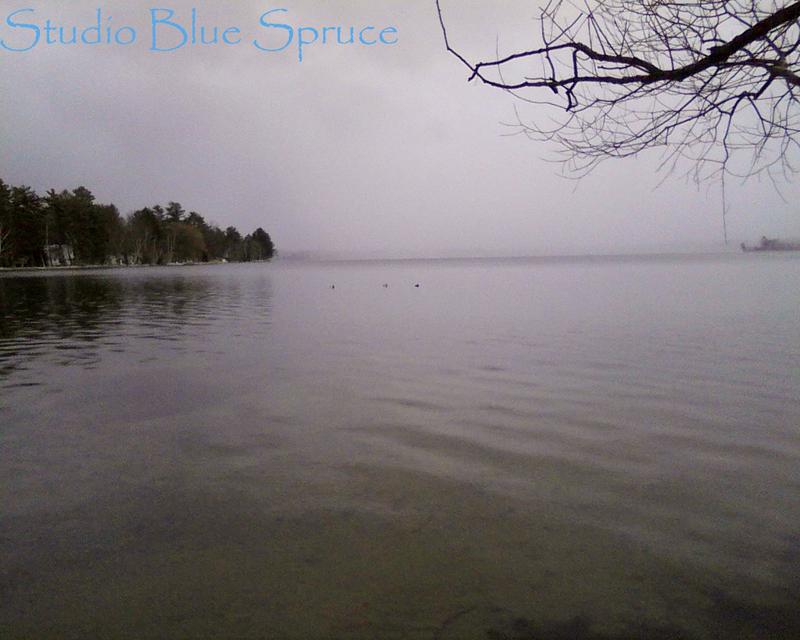 A few years ago I took these photos in June or July, on the same Michigan lake featured in my photo “Sailboat on a Lake”. 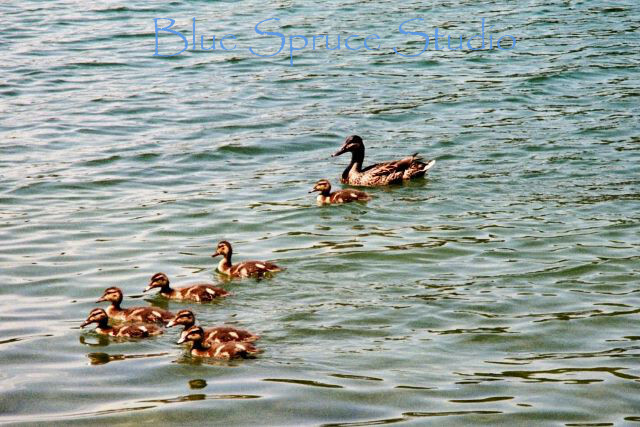 I was just walking along the beach when all of a sudden this duck family walked out into the water not far from me. 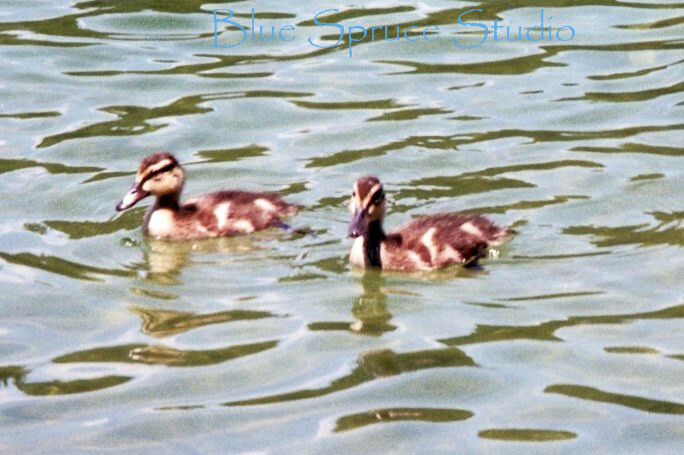 The ducklings were very young, and did not have adult feathers yet. I didn’t realize that young ducks were spotted, but when you think of it, it makes sense, for camoflage reasons.